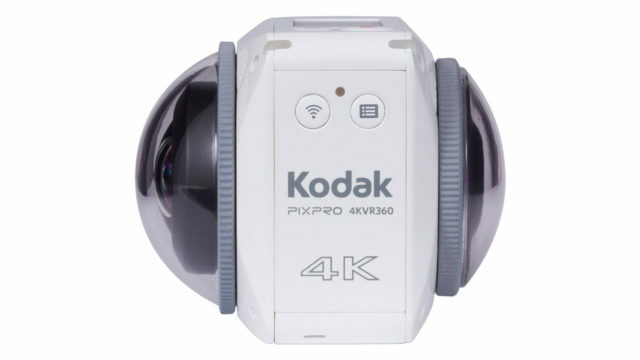 2016 has seen an explosion of 360 degree camera releases. At the start of the year there were barely a few that didn’t cost thousands, now there are half a dozen under $400. 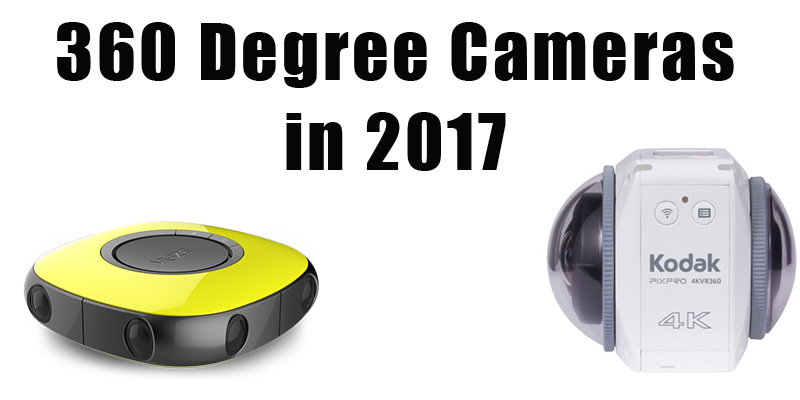 2016 will be seen as the year that 360 degree camera became mainstream, but will this continue into next year? 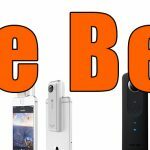 Will 2017 see a continuation of exciting 360 degree camera releases or a slowdown? I’ve done the research for you and I’m happy to say that there are at least 5 360 cameras begin released in 2017 that look very exciting. This is Kodak’s seconds generation 360 camera and a sequel to the mediocre Kodak SP360. The 4KVR360 is a bit of a mouthful to pronounce, but it looks set to be a huge improvement on its predecessor. It features two huge lenses on one body, where as the previous version required you to buy two separate bodies and attach them together. The 4kVR360 will shoot full 360 video in 4K. Video will be captured in 3840 x 1920 at 24p, while still images will be 27 megapixels. The camera seems to be aimed at the action cam market as it will also be splash proof and shock proof to 2m, allowing you to film stunts and sports in 360 without worrying that you’ll break your camera. Camera modes – VR Mode, Round Mode, Front Mode. ISO sensitivity from 100 to 3200. White balance settings – Auto, Daylight, Cloudy, Flourescent, Incandescent, Underwater. Shoots up to 160 still images and 55 minutes of video (at 4K/30p) based on battery performance. Stereo microphone input (2.5mm connector). 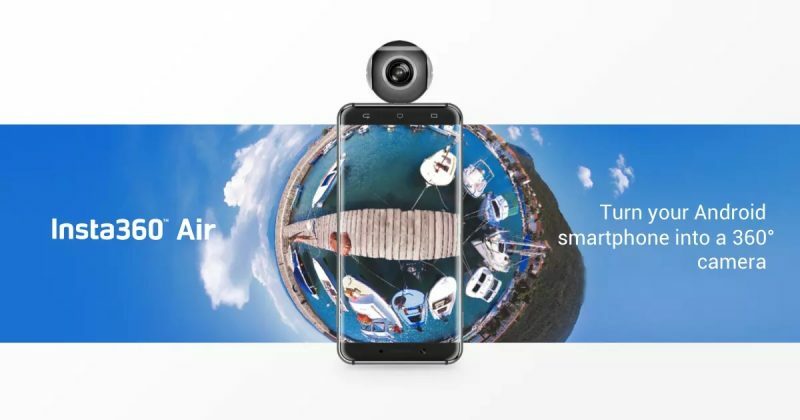 Insta360 have already created an affordable 360 degree camera accessory for iphones, the Insa360 Nano, now they are doing the same thing for Android phones. The Insta360 Air is a portable and lightweight phone accessory that turns any Android phone into a full 360 degree camera. The Air camera will come with a range of features perfect for a smartphone accessory. It will be able to live stream to YouTube, can instantly share 360 images and video to Facebook and has advanced stabilization. 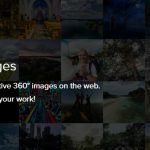 The company behind the Insta360 Air are crowdfunding for the camera on Indigogo, however they have already far exceeded their target of $20,000. The company has also produced a range of other cameras which gives me confidence that they will come through will releasing this one. If you want to support and pre-purchase the Insta360 Air, visit the Indiegogo funding page. The Orbi Prime is the most interest 360 camera to be announced so far. As you can see it more closely resembles a pair of sunglasses than a camera, but that’s exactly what it’s supposed to be. Featuring two lenses, the Orbi Prime allows you to record 360 degree footage on the go without worrying about tripods and headgear. The cameras can’t quite capture the full 360 X 360 degree field of view, which is a tad underwhelming, but given the innovative design this can be forgiven. The Orbi can record 90 minutes of 360 video per change and is controlled with a few small buttons. The Orbi Prime is another crowdfunded design on indiegogo, however they have already fan exceeded their target of $70,000 and have raised a huge $226,000. Whether this leads to a tangible product is yet to be seen, but if they stick to their promises this innovative 360 camera will be released to the public in August 2017. Power: 2 Li-Po batteries 1000 mAh each, Micro USB for charging. The Vuze 360 camera is the only camera on this list that can shoot 360 AND 3D video. As you can imagine, viewing a video in 360 degrees and 3D makes for a unique experience, so the Vuze is a much anticipated camera. Unfortunately it has been delayed more than once and is now set to be released early next year. 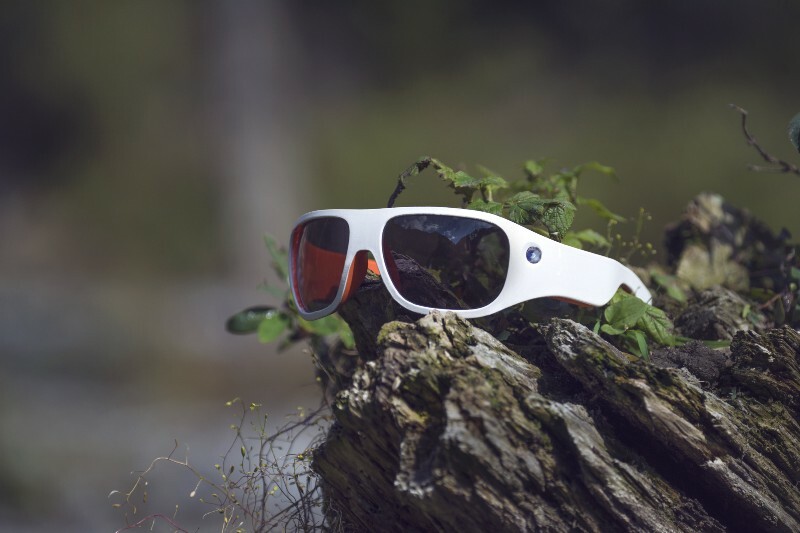 Featuring 8 lenses, the Vuze can capture two sets of 360 images, one for each eye, allowing it to create a 3D effect. The camera also has 4 microphones to capture surround sound. OK so bare with me on this one. At the moment the Gear 360 Pro has not even been announced, let alone been given a release date. So why include it on this list? It’s more of an educated guess. 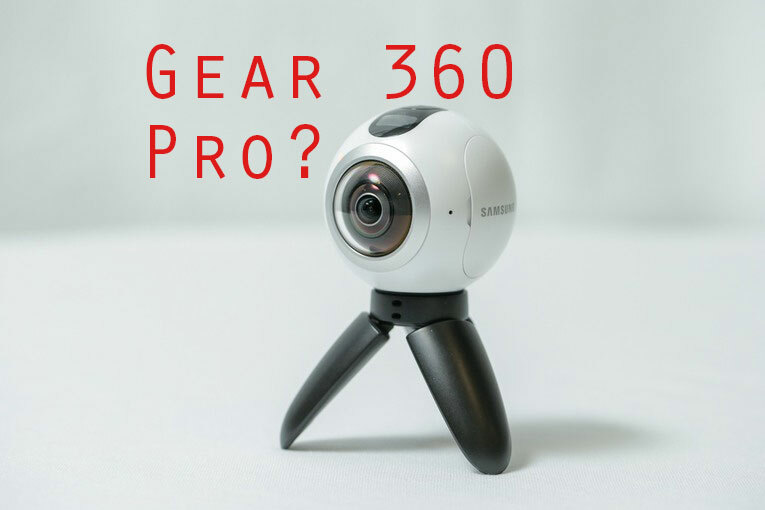 Evidence of an update to the Samsung Gear 360 was discovered when an export tracking site showed a factory export named “SAMPLE SAMSUNG CAMERA SET” with a very similar product code to the Gear 360. It is assumed that this sample camera is the Samsung Gear 360 Pro, which could very well be announced early next year and released in the summer (mirroring the Gear 360 release this year). Samsung may want to release the camera along side the Samsung Galaxy S8. No specifications have been released but we expect Samsung to improve image quality and battery life. So it looks like we have an interesting 2017 to look forward to in the world of 360 cameras. It’s highly likely that many more cameras will be announced as the year goes on and this will help to push innovation and keep prices low. Want to be updated when news of new 360 cameras is released? Join our mailing list and keep in the loop.